The Stone Harbor Beach Patrol dates back to 1912, when Cleon Krouse, Stone Harbor’s first lifeguard, drew his watchtower and boat to the water’s edge. Thus began a protective vigil that would endure through the years. Guard Krouse operated a single beach, the 94th Street Station. Today, the beaches of Stone Harbor are protected at eighteen locations. 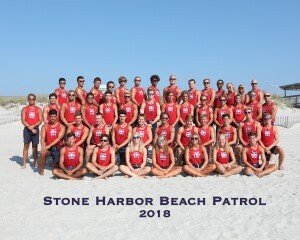 These stations are staffed by 65 men and women who are dedicated to the safety of Stone Harbor’s citizens and friends. In 107 years, members of the patrol have executed over 14,000 rescues. The patrol’s outstanding record can be attributed to the rigid qualifications demanded of each guard candidate and the arduous training cycle undergone by all members of the patrol. Prospective guards receive the qualifications test during the early part of June. Outstanding candidates are selected as guard trainees and they enter a thorough training program emphasizing physical conditioning and instruction in first aid and ocean rescue procedures. Discipline, training, and administration are the responsibility of Patrol Captain, Sandy Bosacco and his staff. These men carry on a 107 year tradition of excellence in leadership. If Captain Krouse were to return to Stone Harbor, he surely would be amazed at the metamorphosis of the Stone Harbor Beach Patrol from its humble inception as a one-man beach to the present 65 member force. 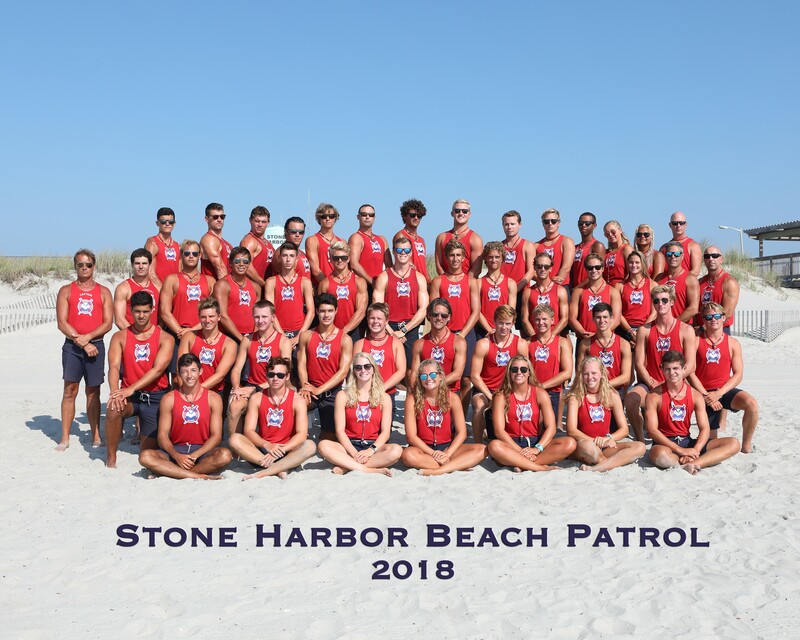 Each guard is dedicated to the responsibility of providing complete protection to the bathers of Stone Harbor and appreciates the community’s generous support and co-operation.